Summer is always just around the corner when you live in Australia – which means the sun is likely out and shining and it’s time to hit the beach. But not before you perfect your sun care routine! We all know how important sunscreen is and how we need to protect ourselves from the sun’s harsh UV rays. But spending time in the sun, even with proper protection, can do a lifetime of damage. Post-sun treatment is essential after a day in the sun, burnt or not. Enter after sun – the hydrating product that will leave your skin thanking you. After sun products are a rehydration for the skin. Rich with vitamins and minerals, it works to help repair your skin after time spent in the sun by cooling, soothing and locking in moisture. 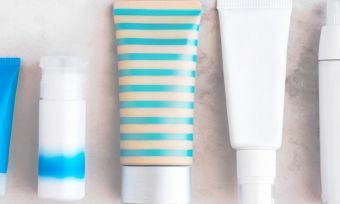 After sun products are packed with high-moisture ingredients such as aloe vera, almond and avocado oil, shea butter and vitamin E. If you are badly burnt (maybe you didn’t read our sunscreen guide?) after sun helps to repair damaged skin, prevent peeling and speed up the recovery process. Besides soothing irritated skin, after sun also decreases hyperpigmentation and works as an anti-wrinkle and ant-ageing cream. When do I need after sun? It’s a common misconception that after sun is only used once you are sunburnt. But being outdoors anytime (especially in a harsh Australian summer) results in a combination of damage to the skin. The sun isn’t the only thing that dries out your skin – so does wind, heat, sea water and sand. If you want to keep your skin looking radiant and healthy, you should try to use after sun every time you are outdoors. Top tip: Don’t wait until your skin goes red before applying after product. Sunburn and skin irritation can often take a couple of hours to appear after you have been outdoors, so don’t hesitate and wait until you get home – apply it straight away for more effective results! 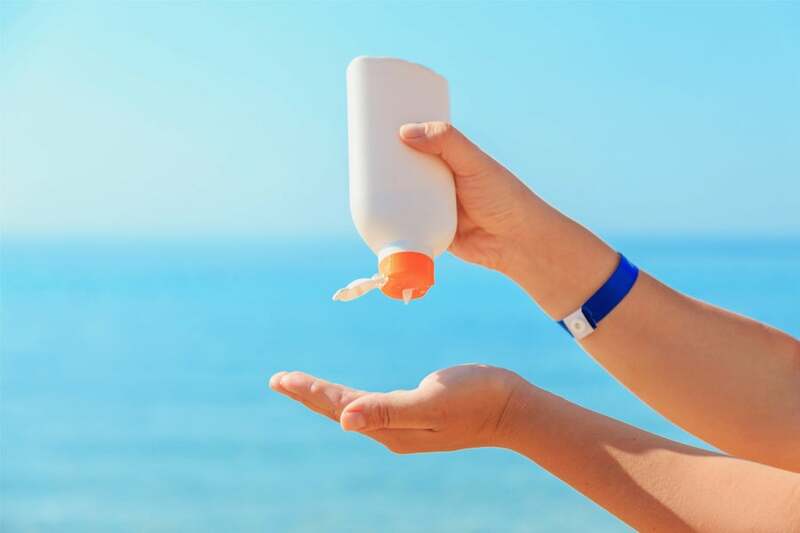 How much do after sun products cost? Aftercare products can range varying on the brand and product. High-end brands can sell moisturising lotions for crazy prices, however after most sun products usually fall in between the $10-50 range. To help you decide, here is a look at some of the most popular brands and products on the market. This German personal care brand is well-known for reliability, and their Cooling After Sun Moisturising Lotion is no exception. NIVEA’s products are top notch, but won’t make a dint in your wallet – ranging from just $6-10 for a 200ml bottle at multiple different stockists. The cooling moisturising lotion is made especially for burnt skin, used to smooth the skin as well as hydrate to help premature ageing from the sun. The lotion is also claimed to be formulated as non-greasy and contains aloe vera and avocado oil in order to provide soothing relief from discomfort. If you’re looking for something a little more luxurious, then look no further than Clinique’s After Sun Rescue with Aloe. Clinique products are known to be on the pricey side (it is a subsidiary of Estee Lauder Companies), but are renowned for the highest of quality. Their after sun product retail at $40 for 150ml and is one of the brand’s top-selling sun protective products. It is an oil-free moisturising balm with soothing aloe which claims to calm sun-exposed skin and “prevents today’s sun exposure from becoming tomorrow’s visible damage”. This lotion is also popular amongst keen tanners, as it assists in prolonging that summer glow. SunSense is one of Australia’s biggest family-owned, budget-friendly sun care brands – and if anyone knows sun care, it’s these guys. The SunSense Aftersun Cooling Crème Gel is boasted to be for tight, dry and sun exposed skin. The gel is enriched with vitamins C and E and grape seed polyphenols, which are all highly beneficial to skincare. Vitamin C helps with hyperpigmentation and all three ingredients are known to improve wrinkles and anti-ageing. This product is suitable for all skin types, but a must-have for those with older skin. Purchase a 200g bottle from $6.99 from Amcal online, or for similar prices from Priceline or Chemist Warehouse. Ahh… Banana boat. An old Australian classic – of course they come through with an after sun product. Budget friendly and perfect to take on a family holiday with the kids, the Aloe After Sun Spray Aerosol is quick, simple, but effective. The spray nozzle allows for easy application, boasted to be non-greasy, rub-free and quick drying. The product is formulated with Aloe leaf juice and minimal ingredients, and stated to cool, sooth dry and sunburnt skin and replenish skin moisture. The bottle is 175gram, and only $7.69 at Chemist Warehouse. Looking for something a bit more natural? Thursday Plantation is a leader in natural healthcare solutions, and 99% of their products are vegan, and cost efficient. With ingredients extracted from the Aloe Vera plant, the Aloe Vera Gel is the perfect natural moisturiser and emollient to keep in your back pocket.Thursday Plantation states the product aids in relief of sunburns and replenishing the skin’s moisture after sun exposure, as well as the relief of minor burns, insect bites, chafing rashes and other minor skin irritations. Priceline is selling 100g for only $11.99.